Derwin James had a slow week, but is still the clubhouse leader for Rookie of the Year. Here’s how the rookie crop shakes out with five weeks in the books. 1. Los Angeles Chargers S Derwin James: Quiet week for the No. 17 overall pick out of Florida State, but he still already has three sacks, an interception, six passes defended, and 31 tackles. 2. 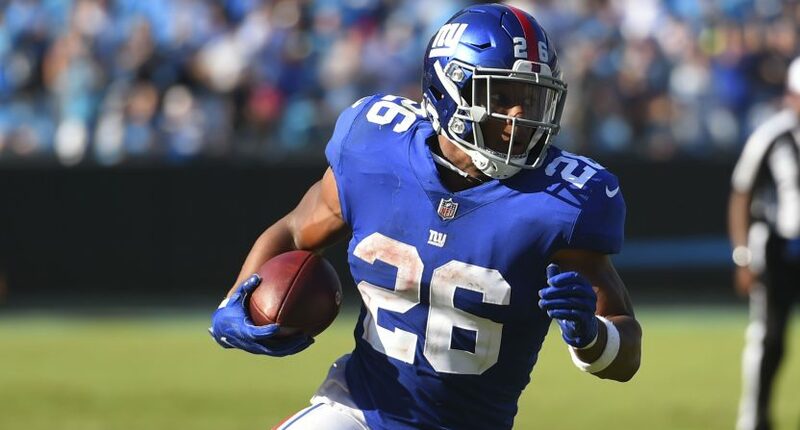 New York Giants RB Saquon Barkley: The No. 2 overall pick out of Penn State has accumulated at least 100 yards from scrimmage in each of his first five games. He just might go over 1,000 yards as both a rusher and a receiver in 2018. 3. Cleveland Browns CB Denzel Ward: The No. 4 overall pick out of Ohio State has performed well in four of his first five games and already has three interceptions under his belt. Per Pro Football Focus, he had the league’s lowest passer rating on throws into his coverage in Week 5. 4. Atlanta Falcons WR Calvin Ridley: Quiet week for the No. 26 overall selection out of Alabama, but he’s still tied for the NFL lead with six touchdowns. No other rookie has more than three through the air. 5. Indianapolis Colts LB Darius Leonard: The second-round selection out of South Carolina State leads the league with 54 tackles despite sitting out Week 5. He also has four sacks and a forced fumble. 6. Denver Broncos RB Phillip Lindsay: The undrafted Colorado product will have to start scoring more touchdowns to stick with Barkley and Ridley in the offensive player of the year race, but he ranks fourth among qualified backs with a yards-per-attempt average of 5.8. 7. Cincinnati Bengals S Jessie Bates: The second-round pick out of Wake Forest has eight tackles in three of his five games, and he intercepted a pass in each of the other two. 8. Browns QB Baker Mayfield: The No. 1 overall pick out of Oklahoma is the highest-rated rookie passer in the league. 9. New York Jets QB Sam Darnold: But the No. 3 overall selection out of USC is right there. Darnold’s had some ups and downs, but he’s got a couple big performances under his belt and is leading all rookie signal-callers with seven touchdown passes and over 1,000 passing yards. 10. Giants G Will Hernandez: The second-round pick out of UTEP has been a Pro Football Focus standout early in his rookie season at right guard, saving the day for a bad offensive line while paving the way for Barkley.